With today’s rapidly advancing technology, innovation comes hard and fast. It’s no surprise people are finding new ways to sell things, but for many, it’s not about greed. New ways to buy and sell electronic goods have reached a new wave of consumers. Possibly more important than that, though, is the new opportunities brought to independent artists and developers. Crowdsourcing is a powerful new tool. 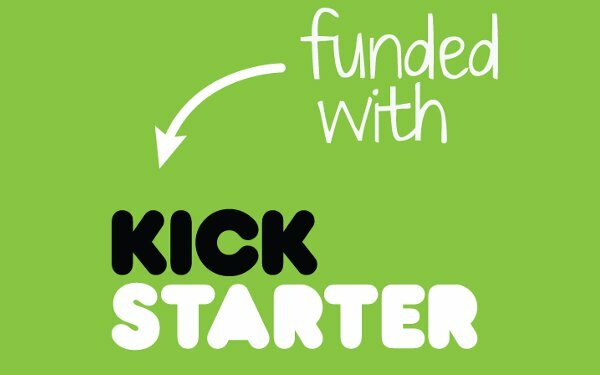 Thanks to websites like Kickstarter, anyone from big-name studios to garageband projects can hit it big. Some projects get funded due to previously established fanbases, such as Torment: Tides of Numenera, inspired by the widely-acclaimed Planescape: Torment. Due to the all-star list of developers and the unanimous acclaim for the original game, Torment has raised over $3.3 million dollars – over three times the original goal of $900,000. To encourage people to donate further, “stretch goals” are commonly added. The Indiegogo page for the indie fighter Skullgirls ended up raising almost $700,000 more than their original bid, mostly due to their stretch goals. For every goal donors reached, another character, stage, or voice pack was right around the corner. Originally, the goal was to get one additional character. By the end, Skullgirls players are set to receive six new characters, eight voice packs, and four new stages. The many milestones keep momentum behind the project moving instead of letting support taper off after the initial goal is met. Indie projects can also gain massive support through offering rewards to donors depending on how much they gave. The Homestuck game’s Kickstarter had the benefit of a massive fanbase, especially among teens, but the high-quality rewards played an enormous part in garnering almost $2.5 million. There were sixteen reward tiers. Starting at $15. Donors received a digital copy of the game. For $155, a deck of special Homestuck tarot cards were included with a tote bag, pins, a shirt, pins, stickers, the game, and its soundtrack. For $10,000, the donor’s fanmade character would become canon. Creative and quirky rewards are a great way to entice people to donate more than they’d initially think to. Starting slow with Steam in 2003, digital distribution has ballooned out remarkably. It’s a win-win for both producers and consumers. The only price for each individual unit is bandwidth, and the online aspect makes it far more conducive to impulse purchases. For consumers, the negligible production costs allow for frequent exorbitant deals along with alleviating any necessary travel. It’s a lot easier to justify spending $10 on a 75% off blockbuster rather than $60, especially for people without disposable income. Small-time producers may benefit the most from digital distribution. Bandcamp, for example, allows musicians to host albums for free, only taking 15% from album sales. Artists can put any price on their music, or they can leave the price up to the buyer. It may seem counter-productive on paper; after all, it seems mathematically obvious people will just pay the minimum. The creators of the Humble Bundle believe otherwise. Humble Bundles are pay-what-you-want packages of, on average, five to seven games. Soundtracks are included with every purchase, along with versions for Windows, Mac and Linux. The majority of customers only pay between five and fifteen dollars, but it’s still incredibly lucrative. Comprised of nine games and Indie Game: The Movie, the latest bundle raised over $2.5 million in two weeks. Over the past three years, Humble Bundles have made over $35.5 million with a fair portion heading to charity. While the bundles may be humble, there’s nothing modest about that kind of success. Inventive new methods of buying and selling are opening the market up to previously excluded groups. Artists who would have to struggle for funding are reaching out to fans and followers for support. Meanwhile, others are expanding to new audiences through new pricing models and styles. Supporting independent artists has never been so simple.